Let us take care of your high-end luxury bag repairs. We specialize in name brands including Louis Vuitton and Coach. Give us a call today to learn more.  Just when you think your purse or handbag investment is beyond repair, give the professionals at Shoe Repair & Beyond a call. We can repair leather, broken zippers, missing buckles or buttons, scuffs and rips. Our master craftsmen can even shorten straps! We have been proudly serving you with reliable purse repair services since 1975. We are located in Boca Raton, FL but gladly accept purses and shoes for repair by mail nation wide. There is no purse repair too big or too small that we can't handle. From your largest rips and tears to a handbag cleaning, we have the tools necessary for the job. We provide you with quality, excellent services at fair and reasonable prices. We are always happy to serve you, stop by or make an appointment today. Dont forget to download our App at the Apple store or Google Play today for additional discounts.